Be the first to share your favorite memory, photo or story of Richard. This memorial page is dedicated for family, friends and future generations to celebrate the life of their loved one. 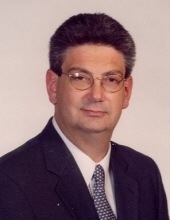 Richard Allen Maples, age 57 of Danville, VA passed away Saturday, April 6, 2019 at Lewis Gale Hospital. He was born April 10, 1961 in Aurora, IL to the late Richard O Maples and the late Sharon Merrill Maples. Richard is survived by his two sons, Matthew Maples of Hilliard, OH and Jacob Maples of Oklahoma City, OK; a sister Beth Edwards and husband Ben; a brother; Thomas Maples and wife Robin; a grandson, Nikolas Maples and friend, Julia Maples (Jim Schoenhaar) of Pembroke Pines, FL. A memorial service will be held 11:00 a.m., Saturday, April 27, 2019 at Norris Funeral Services, Inc., Mt. Hermon Chapel, 3995 Franklin Tpke., Danville, VA 24540 with the Rev. JB Baldridge officiating. The family will receive friends 10:00 a.m. till 11:00 p.m., Saturday, April 27, 2019 at Norris Funeral Services, Inc., Mt. Hermon Chapel. Norris Funeral Services, Inc. and Crematory, Mt. Hermon Chapel, 3995 Franklin Tpke., Danville is serving the family. Online condolences may be made at www.norrisfuneral.com. To send flowers or a remembrance gift to the family of Richard Allen Maples, please visit our Tribute Store. Guaranteed delivery before Richard's visitation begins. Guaranteed delivery before Richard's memorial begins. "Email Address" would like to share the life celebration of Richard Allen Maples. Click on the "link" to go to share a favorite memory or leave a condolence message for the family.